Keep moving with the blend of vegetarian glucosamine and Meriva® bioavailable curcumin in the InCelligence Joint-Support Complex. It’s pretty easy to take your joints for granted. But life would be really difficult without them, because they allow you to move freely. That’s why it’s so important to take care of healthy joints. Your body has a few different types of joints. The most common is what’s known as a synovial joint. This is the type that has the greatest range of motion, allowing your bones to move together. You can thank these joints for your ability to run, climb, dance, wave at a friend, or hug a loved one. Synovial joints are unique, because they’re the only type of joint that has a narrow space between your bones—the joint cavity. These spaces are filled with synovial fluid, which consists mostly of hyaluronic acid. This fluid lubricates and provides nutrients to the cartilage that caps the end of your bones. It also acts like a shock absorber to cushion the joints. The entire joint is enclosed by a capsule made of connective tissue along with ligaments and tendons that help keep the joint stable. Take a closer look inside your joints. Joint lubrication doesn’t just come from water. 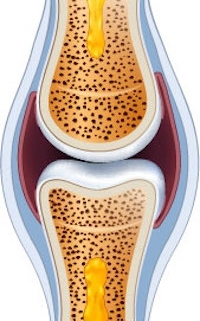 Synovial fluid is a thick liquid created by a membrane that lines the joint cavity. The fluid is made primarily of hyaluronic acid, which is another type of sugar—a glycosaminoglycan. Your body uses the amino sugar glucosamine to support the production of proteoglycans and glycosaminoglycans. Keeping your joints healthy will allow the bones to continue moving together comfortably, helping you stay fit and active. So, what can you do to preserve the health of your joints? Try to stay safe out there. Obviously, nobody sets out to get hurt. But injuries can take a toll on your joints. Manage your weight to avoid the excessive pressure that could change the structure of your joints. Get enough moderate exercise to keep your body fit, because your joints need the support of strong bones and muscles for stability. 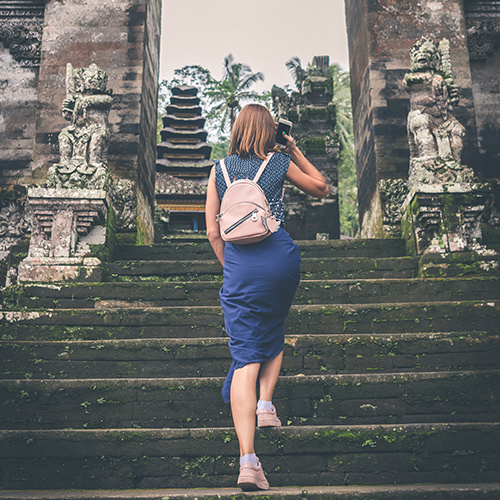 Plus, staying active will help maintain healthy articular cartilage, which requires regular joint movement and dynamic, load-bearing pressure for proper function. Eat a varied, healthy diet and give your joints the nutrients that will help them stay healthy every day. Most supplements provide a form of glucosamine derived from shellfish. 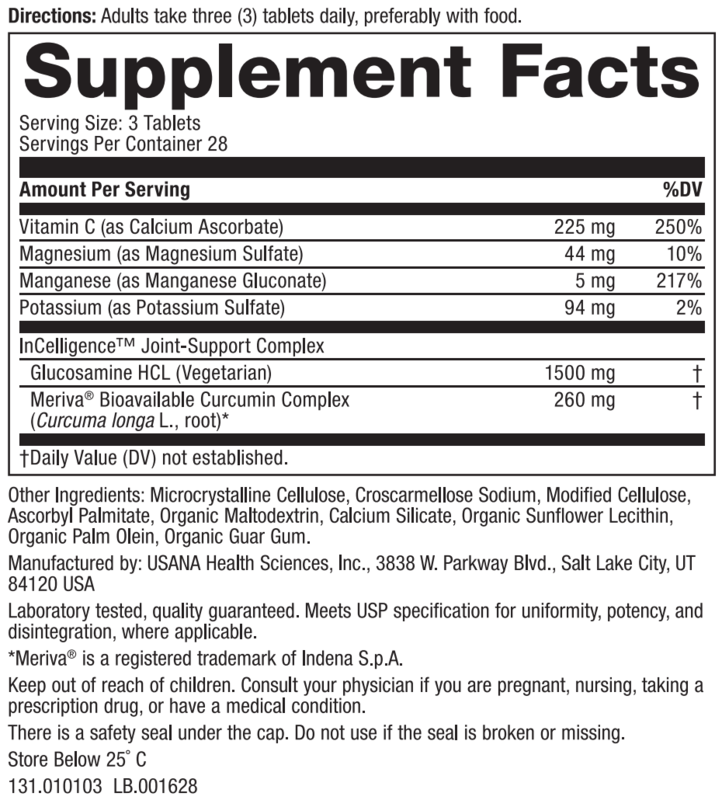 USANA offers a vegetarian formula by using a high-quality glucosamine HCl instead. 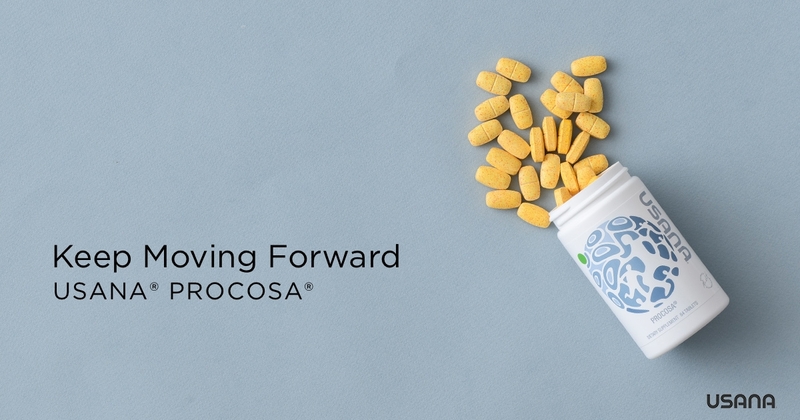 By blending the HCl form of glucosamine with potassium and magnesium sulfate, Procosa provides the same benefits of glucosamine sulfate without using animal-based ingredients. 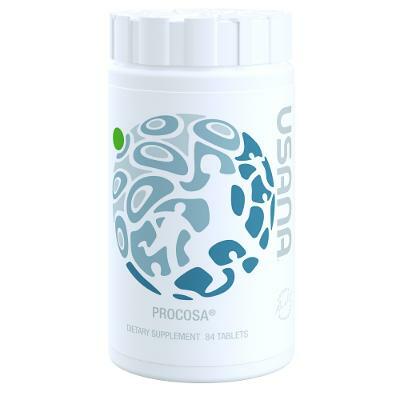 Procosa is not your typical joint supplement. 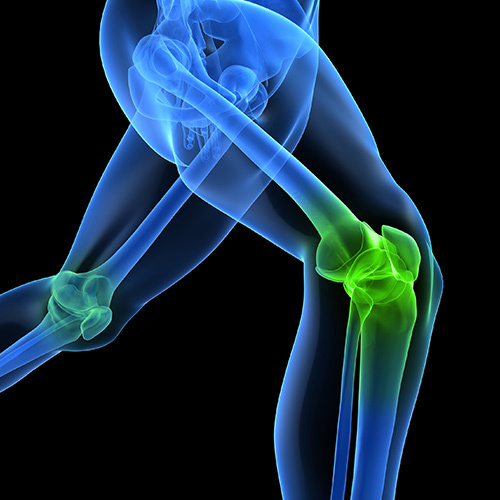 Many deliver glucosamine with chondroitin sulfate. However, an observational study showed that using glucosamine along with Meriva® Bioavailable Curcumin Complex is more effective than the combination of glucosamine and chondroitin sulfate. This enhanced effectiveness is why you will find the two ingredients in Procosa’s unique InCelligence Joint-Support Complex. You’ve already read about the glucosamine in Procosa. But what is the Meriva Bioavailable Curcumin Complex? Are phytosomes and liposomes the same thing? You may see some products on the market labeled as curcumin liposomes. While both liposomes and phytosomes help improve the bioavailability of curcumin, they are structurally different. Liposomes encapsulate curcumin in the middle of a group of lipid molecules, rather than fully integrating the curcumin within each lipid molecule. In other words, phytosomes create a chemical bond between the curcumin and the lipid rather than acting as a package for it. This means more of the active ingredient is contained in each phytosome molecule. So, a smaller dose can provide the desired results. The phytosome structure has been shown to be a better delivery system. Research has shown that the curcumin-lipid complex in Meriva is nearly 30 times more bioavailable than standard curcumin preparations. So, you get the benefits of curcumin, but at a significantly lower dose. By promoting the production of these important compounds, Procosa may also offer benefits for your skin’s appearance. **Meriva is a registered trademark of Indena S.p.A. Adults take three (3) tablets daily, preferably with meals. Can I take Procosa if I’m allergic to sulfur? Individuals who are allergic to sulfa drugs may mistake sulfa and sulfur as being the same substance. Sulfa is an abbreviated name for a specific type of antibiotics called sulfonamides. Sulfur, on the other hand, is an essential mineral found in nearly all proteins, vitamin B1, and multiple amino acids. It is not possible to be allergic to sulfur because the body cannot function properly without it. Sulfate is simply a combination of the elements sulfur and oxygen and is naturally present in relatively high concentrations in human blood. No USANA product—including Procosa—contains sulfa drugs (sulfonamides). Will glucosamine affect my blood sugar levels? Glucosamine, an active ingredient in Procosa, is chemically classified as an “amino sugar.” This is not the same as the sugars glucose, sucrose, fructose, etc., which provide energy in the form of calories. Glucosamine contains no calories and will not generally affect blood glucose levels. Procosa is generally appropriate for those with diabetes. However, it is always advisable to check with a physician or pharmacist before starting any new diet or supplement regimen. How long does it take for Procosa to work? Because articular cartilage does not contain any blood vessels, it receives nutrients more slowly by absorbing them from its surroundings. 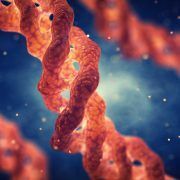 Research has shown that glucosamine plus exercise can demonstrate differences for some people between four and 12 weeks. Your results may vary. Learn what collagen does in your body, the pros and cons of collagen supplementation, and how collagen and skin health are linked. 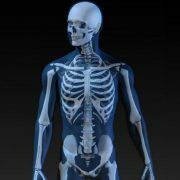 Your bone anatomy makes your skeleton more than your body’s framework. Learn about your skeletal system and how you can support your bone health. Joints make you mobile, so joint health is a major concern. Find out the types of joints and their roles in your body. And see how you can keep them working smoothly with joint health tips.